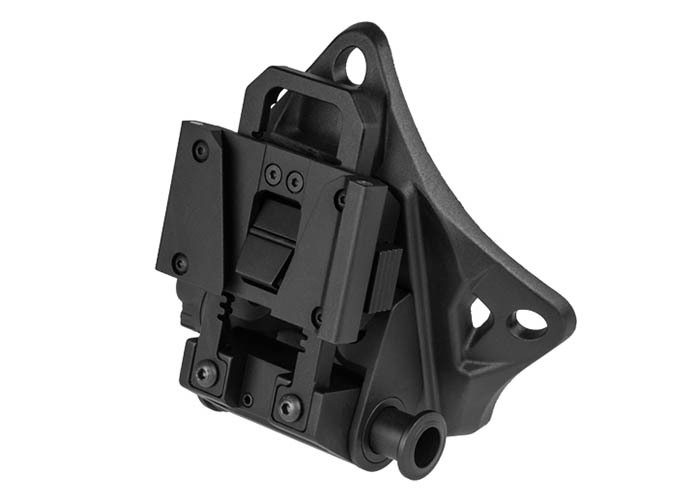 The Lancer Tactical L4G19 NVG Mount is constructed from CNC Machined aluminum to be durable and lightweight. It is compatible with most helmet shrouds and NVGs equipped with a dovetail shoe. It has a range of different adjustment options to insure proper eye position of a night vision device, including fore/aft, vertical, and tilt adjustments. All controls can be reached and operated with just your support hand.